Abstract: This paper examines the structure and interpretation of Polish clausal adjuncts involving what looks like a wh-pronoun jak ‘how’. The presence of the same wh-word in three distinct constructions raises two interesting questions: (i) What, if any, is the semantic contribution of the word jak?, and (ii) Where exactly does the manner, temporal and conditional interpretation come from? The paper shows that jak, in addition to being a manner wh-pronoun, can function as a complementizer, which correlates with the loss of manner interpretation. Abstract: Recent proposals that subjects are introduced in the specifier position of a projection above VP but below TP, referred to as Transitivity Phrase, naturally raise the question of whether the head of this projection can be lexically instantiated. This paper argues that pronominal object clitics are in fact overt realizations of that head (Tr). Further, I argue that the V-feature of Tr is not universally strong as has been proposed in Collins 1997 and (indirectly) in Chomsky 1995. I will demonstrate that in Polish the V-feature of Tr can be either strong or weak. When the V-feature of Tr is weak, the raising of V to Tr is not triggered. This proposal accounts, among other things, for the possibility of pronominal clitics in Polish moving independently from the verb or any other constituent. Abstract: This paper proposes an explanation for three gaps in the array of Polish infinitival constructions: the lack of object control with accusative controllers, ECM verbs, and object raising. The hypothesis rests on two basic notions: a) the standard RG analyses of these constructions which involve cross-clausal 1–2 multiattachments, and b) the proposal that 1–2 multiattachments in Polish are ALWAYS resolved by a birth of the reflexive clitic sie. Put together, a) and b) result in a clash between universally well formed RNs and a Polish-specific morpho-syntactic requirement. Since the multiattached nominal is the subject of one clause and a direct object of another, the grammar does not know which verb to assign the clitic to and thus disallows these constructions. In English, where 1–2 multiattachments are not overtly marked, such conflict does not arise and the constructions are valid. It is argued that data concerning -sja in Russian provide support for the analysis. The changing status of -sja manifests itself in two syntactic ways. One, previously noted, is the existence of several -sja marked verbs which occur with accusative complements. Another, is the existence of a few verbs which allow the “accusative plus infinitive” construction. Both indicate a new stage in the changing role of -sja and the way Russian treats 1–2 multiattachments. Neither is allowed in Polish, where the bi-unique connection between sie and 1–2 multiattachment is very strong. Abstract: This paper discusses the ellipsis of accusative direct objects (DOs), the enclitic sie, and the conditional marker by in Polish. While these three elements are grammatically heterogeneous, they show identical patterns of ellipsis in configurations marked by a high degree of parallelism. This suggests that certain fundamental properties of ellipsis hold language-wide, and that generalizations are missed when ellipsis is approached in the traditional category-by-category fashion. Abstract: The aim of this article is to provide a formal analysis of non-local Genitive of Negation in Polish, a phenomenon occurring in so-called ‘clause union’ environments and consisting in the genitive case being assigned to an object of a lower verb when a higher verb is negated, instead of the expected accusative. In particular, I examine two aspects of such non-local Genitive of Negation, occasionally noted in the traditional literature, but ignored in formal or generative linguistics, namely, its optionality and its potential multiplicity. I show that the main characteristics of non-local Genitive of Negation follow in a straightforward manner from the interaction of two independently motivated analyses, namely, an analysis of ‘clause union’ environments as involving optional raising, and a local nonconfigurational analysis of syntactic case assignment. Both analyses are couched within Head-driven Phrase Structure Grammar. I argue that the resulting account is superior to previous analyses of non-local Genitive of Negation in Polish on empirical, formal and conceptual grounds. Abstract: A Parameterized Determiner Phrase Hypothesis has been developed in recent work: Noun Phrases are embedded as the complement of a functional category Determiner in a language if and only if that language has overt articles. It would follow that extraction from within a Noun Phrase will be more restricted in a Determiner language, because of the additional structure. While this hypothesis is plausible, we argue against it on empirical grounds, focusing in detail on the data of English and Polish (by hypothesis, Determiner and Determiner-less languages, respectively). While there are differences in extraction between the two languages, the similarities are far greater than the Parameterized Determiner Phrase Hypothesis predicts. In fact, the similarities provide arguments for Determiners in Polish. The paper develops an account of observed extraction patterns in terms of recent work in Minimalism, relying in particular on the Phase Impenetrability Condition and cyclic spell-out of phases (rendering portions of structure opaque to further syntactic operations). English and Polish differ in whether the functional category D can have an ‘EPP’ feature, invoking raising to Spec-of-D. This parameter of variation is unrelated to whether or not a language has overt articles. 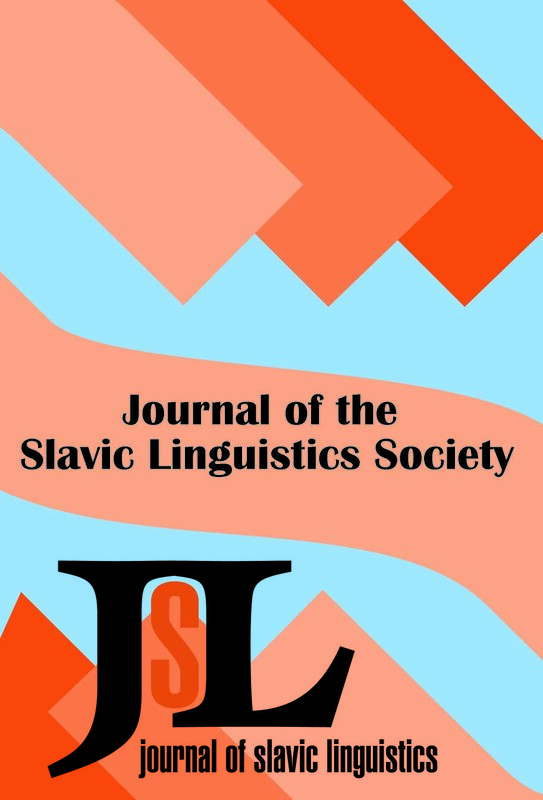 Abstract: Polish resembles Italian, Slovenian, and Spanish, and differs from Bulgarian, Czech, Romanian, and standard Serbo-Croatian in displaying an arbitrary subject use for reflexive się. Polish shares with other Slavic languages an arbitrary object use for this clitic. Arbitrary się is an indefinite pronoun of the S(implex) E(xpression) anaphor type, as in Reinhart and Reuland (1993). It signals the movement chain of a phonologically null defective NP with a human feature but no ?-features that raises as external or internal argument of the predicate to the “base-generated” się to repair its formal and referential deficiencies, by checking Case and receiving quantificational force. One use of się as SE-anaphor distinguishes Polish both from other Slavic languages and from the Romance languages: as expletive, it can transmit the thematic, binding, and control properties of the external argument to a non-selected Dative. Abstract: The paper discusses aspectual distinctions among Polish nominalizations belonging to different semantic domains, in particular action nominals and psych nominals. It is demonstrated that in Polish there are two types of nominals that qualify as complex event nominals in the understanding of Grimshaw 1990: aspectually ambiguous derived nominals whose properties are like those of English derived nominals and verbal nouns which have grammatical aspect and form aspectual pairs like the related verbs. It is argued that not only action nominalizations but also psych nominalizations denote complex eventualities, except that in the former the culmination point terminates the eventuality whereas in the latter it is at the beginning. The perfective/imperfective contrast is taken as evidence for the complexity of the eventuality and the heterogenous nature of the component subevents. In conclusion, it is suggested that the atomic Vendlerian taxonomy of event types is insufficient for the analysis of different types of complex events and furthermore that the overt aspectual distinctions among Polish nominalizations belonging to different semantic domains might be also present covertly in other languages, which leads to ambiguities of various sorts. Abstract: The paper deals with the problem of negativity transmission in sentences which contain a phrase headed by the word form of a participle: adjectival (czytajacy, czytany) or adverbial (czytajac, przeczytawszy), a gerund (czytanie), or quasi-gerund (nieczytanie). A formal account of the issue within the Metamorphosis Grammar framework is proposed. In Polish negative sentences two syntactic phenomena are observed: (a) Genitive of Negation (accusative complements convert into genitive), and (b) Negative Concord (negative pronouns, like nikt, nic, nigdzie, cannot appear in non-negative sentences). The impact of negation is bi-directional (top-down and bottom-up). Participial and gerundial phrases syntactically behave in two ways. Negation of the higher verb(al) phrase either affeand for theey were constituents of the whole phrase (negativity tunnel), or it does not (negativity island). The formal description of Polish negation given in Âwidziƒski (1992) is presented. In the rules of the grammar syntactic units are parametrized terms. The mechanism of parameter scattering and matching is used to account for various agreement phenomena. A number of adjustments to the grammar are proposed to cover constructions with a participial or gerundial constituent. Abstract: This paper deals with the issue of the Genitive of Negation (GN) showing up on apparent subjects in certain constructions with the negative locative copula in Polish and its consequences for the theory of feature checking. The GN on the apparent subject is taken to result from the same case feature checking mechanism as the regular GN on the nominal objects of negated transitive verbs; in both cases the relevant nominals are attracted to v, forming [spec, vP] to have their [+Objective] feature checked. They are then further attracted by the head of NegP in covert syntax. The attraction of the nominals and the feature checking on the two functional heads is morphologically manifested in the form of the Genitive. A derivation including such procedure of GN licensing on the sole nominal argument of the negative locative copula requires services of a case feature carrying expletive pro, whose task is to check the relevant features of T. A closer analysis of a group of unaccusative verbs licensing (partitive) Genitive on their arguments (arguably also in the [spec, vP] position) reveals that derivations using this type of expletive pro are necessary for independent reasons. As expected, the arguments of both the unaccusative verbs licensing (partitive) Genitive and the negative locative copula fail to show properties typical of syntactic subjects. The paper ends with a discussion of the role of expletive elements in the derivation.